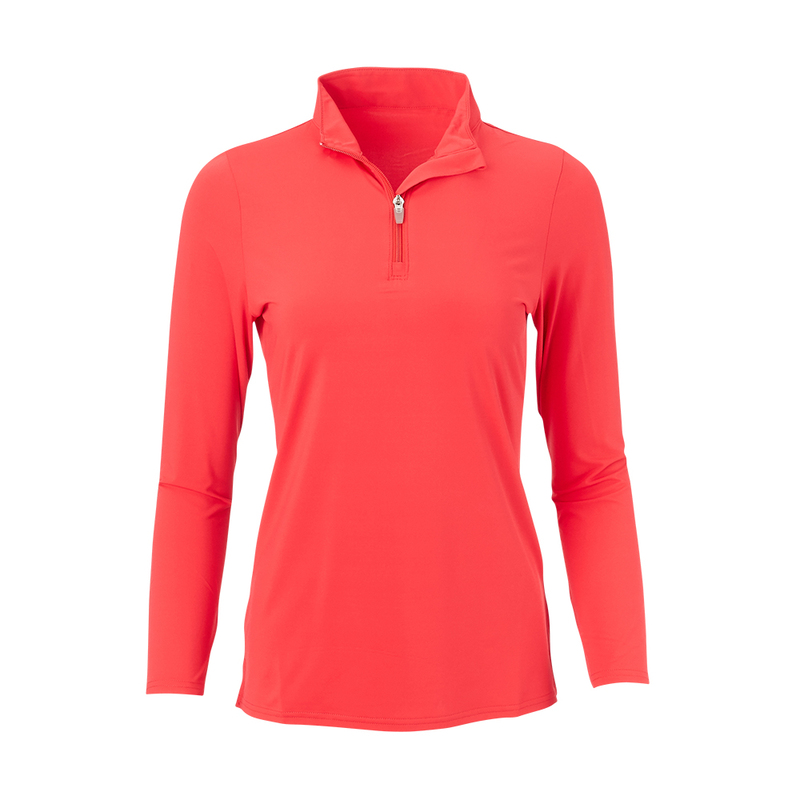 Long sleeve with open cuff. Machine washable in cold water. Imported. 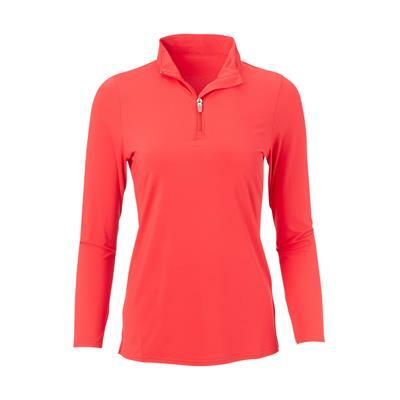 This ladies 1/2 zip long-sleeve pullover is crafted from breathable, quick dry and easy care EcoTec micro polyester and tailored for a comfortable fit.